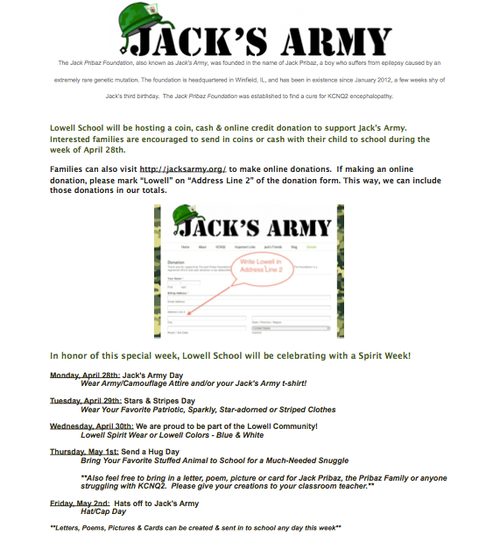 Support Jack's Army this week @ Lowell! Foundations Team Lowell Family Survey- Deadline Extended!!! If you have not had the opportunity to do so, please click the link below and take the Foundations Team Family Survey. We are working as a school community to establish Guidelines for Success which will articulate what it means to be a Lowell student. Staff are responding to the same prompt, and classroom teachers are leading a discussion in their classrooms to ensure student voices are heard and part of the process. Thank you for your time; your feedback is an important part of our success. Please respond by Wednesday, April 30th. 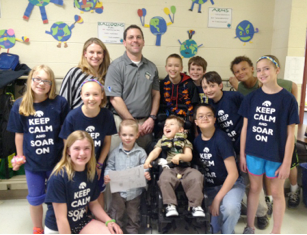 Please view our new school blog & read Story 1: Using Your Voice from Mrs. Melton. You'll meet our Eagle Ambassadors in this post, too. Consider sharing your own story of learning from Lowell! We welcome stories from students, parents, staff, special guests, and community members. Read about our amazing author week, grade level updates, and new books in the LLC below!!! Thanks for an awesome Screen Free Week & Culture Fest!!! Be a spectator at the Mile Run @ Wheaton College! There is still time to register for the Lowell 5k! As we enjoy the excitement of the Spring season at Lowell, we are also preparing for next year. Please note that while we don't take requests for specific teachers, we welcome anything you believe it is important to share about the learning environment that best suits your child. 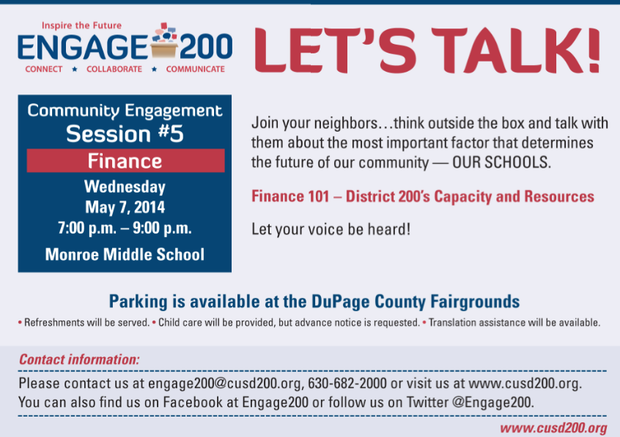 Please send that via hard copy to the office or via e-mail to kathleen.melton@cusd200.org by May 6th. Thank you! This Saturday, April 26th, join the Wheaton Environmental Improvement Commission to help do some spring cleaning of the Prairie Path. Meet up at W.W. Stevens Park (at the corner of Lincoln and Western Avenues) at 9 a.m. to be assigned a specific portion of the path to work on. All ages are welcome. Please also help Green Club during Earth month as they collect a different hard to recycle item each week. The schedule of items they will collect is listed below. Please find a box in the Lowell Office for collection. 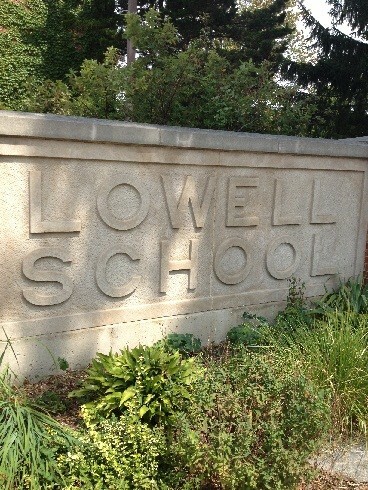 Lowell Beautification Day is Friday, May 16 from 3:30-5:00. We would love for students, parents, and teachers to join us for a fun afternoon of sprucing up Lowell's outdoor areas. We will be cleaning up, pulling weeds, planting, and making Lowell more beautiful! Enjoy a Spring afternoon with Lowell friends! Does anyone in your family or someone you know have military or boot camp experience? Would they like to come and run a Boot Camp activity for Discovery Day? The ROTC unit that has always done this activity for us at Discovery Day can not make it this year and we would love to try to keep one of our most popular activities! If you know anyone that might be willing to help, please have them contact Barbara Razzino, babsrazz@mac.com, or Mary Howard, mary@chicagoveganfoods.com. Thank you! Lowell Elementary CUSD 200, Wheaton, Illinois. 46 likes · 1 talking about this · 23 were here. Lowell Elementary, located in Wheaton, is one of 13 elementary schools and 20 total schools in Community Unit School District 200. Looking for the Class of 2027! All children who will be 5 years-old by September 1, 2014 are eligible to enter Kindergarten in the fall of 2014. If you have a child or know a child who was born before September 1, 2009 that will attend Lowell, please contact the school office at 630-682-2085 to share contact information as soon as possible! Calling All 3rd & 4th Grade Readers and Parents! Join Lowell Battle of the Books team 2014-2105! Next year's Battle of the Books (BoB) season is just around the corner and Wheaton Public Library has released the new reading list! Get started now to read the 50 book titles and compete against other local schools next January through March. Battle of the Books is open to all interested readers who will be in the 4th and 5th grade this fall! Are you a reader (or parent of a reader) ready for Battle? Contact Tracee Scott-Otis (tso_email@yahoo.com) and Caroline Wiltfang (carolinewiltfang@comcast.net) for details on how to join (or help coach) next year's Battle team. Click here to go to the Lowell Web calendar & stay informed on upcoming events! Thursday, May 15th- 7 p.m.
All Thursday evening meetings will be held in the LLC. All Friday morning meetings will be held in the Art Room. Free babysitting is available at each meeting. Be sure to visit the Lowell PTA website by clicking this title!